But as soon as you take it in your hands, you will notice, that the weight is relatively low... and it is not an impression. Werner Beiter used thermpolasts wherever possible to reduce weight, but still allowing as much stability as possible. Werner Beiter developed a revolutionary horizontal and vertical adjustment, which allows adjustments precise as 0,2mm: you could move the rest instead of the sight to move your group into the Centre! 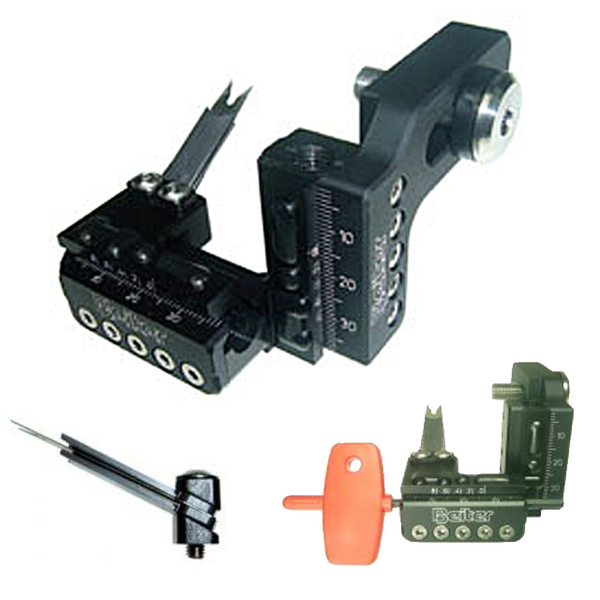 horizontal and vertical movement without any fixation screw. The Rest can be adjusted without loosening or tightening any screw! highest precision, thanks to a revolutionary concept: the Rest can be adjusted without tolerances and play, with a precision not known until today. reproducible settings: both the vertical and the horizontal millimetric scale have a Vernier scale (like a calliper). Thanks to that, the Rest can be adjusted with a precision of 0,2mm! The setting can be reproduced, resulting in the arrow rest to have Zero play. the launcher can be set in 2 different angles - 30° or 35°- by changing two little blocks. So the angles can be re-set precisely. Guidance Plates with bulge: Plates with different lengths can be installed on top and bottom of the launcher. 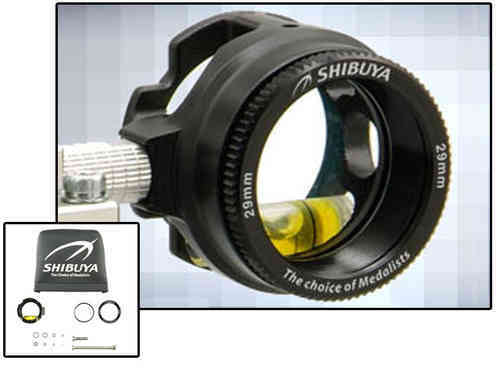 These will change the stiffness of the launcher and avoid any oscillation after the shot, which most of the time is the reason of bad clearance. The bulge on the plates gives the launcher the chance to follow the horizontal path of the arrow leaving the bow. Stainless Steel 5/16"-24 screw with flat head and large diameter. The Spacer made out of a special plastic allows to fix the screw better. A counter screw with an elastomer pad avoids any marking on the bow handle. Different Launcher sizes and thickness's will be available to fit various arrow diameters and weights.